This is another installment in our series on Medi-Cal planning. We are focusing on the income requirements for Medi-Cal eligibility. In our last blog post we discussed income in the context of in-home care. Here we look at nursing home care. The Monthly Needs Allowance of $35 is money the Medi-Cal recipient can keep every month to spend as desired. 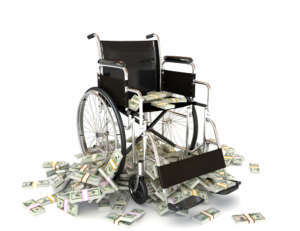 If Share of Costs is less than the Medi-Cal nursing home payment the Medi-Cal applicant meets the income requirements. When one spouse is applying for nursing home Medi-Cal, the other spouse, called the “Community Spouse,” is entitled to a certain amount of income, a Minimum Monthly Maintenance Needs Allowance (MMMNA), if the couple has enough income. That amount in 2018 is $3,090. In the nursing home context only the income of the community spouse is not otherwise counted when determining eligibility. An example: Wendy and Henry are retired. Wendy’s income is $1,300 per month, Henry’s is $1,750. They each pay Medicare Part B of $134. Henry is in a nursing home and therefore the Medi-Cal applicant. Henry’s Share of Costs would be $1,581. Wendy’s income does not factor into Henry’s Share of Costs. However, Wendy’s income is only $1,300 per month, which is less than her $3,090 MMMNA. Medi-Cal will permit Henry to give up to $1,790 per month from his income to Wendy in order to bring her income up to the MMMNA. However, Henry only has $1,581 in income after his allowable deductions. All of that will go to Wendy, reducing Henry’s Share of Costs to $0. This will provide Wendy with $2,881 per month in monthly income, which is less than her MMMNA of $3,090. It might be possible to do some planning with the couple’s assets to increase Wendy’s monthly income by the difference of $209. We will discuss that in a future post.